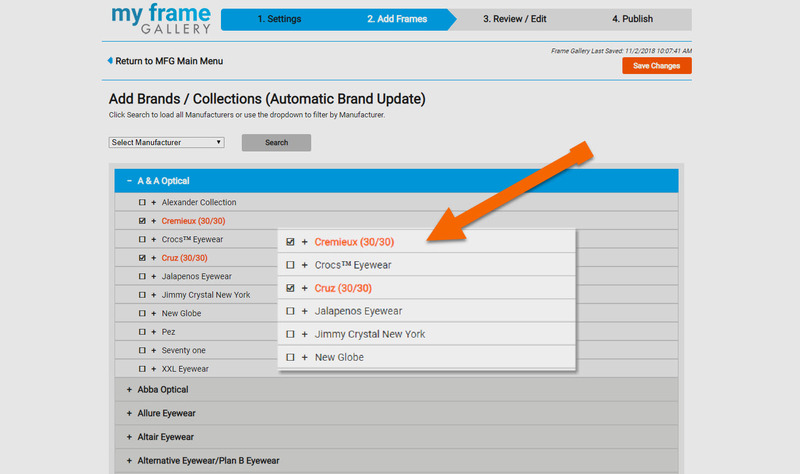 My Frame Gallery by Frames Data now includes an optional Wish List feature, adding a whole new dimension to the patient experience. 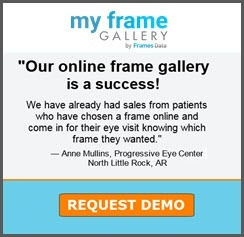 It allows patients to communicate which frames on your Gallery they are interested in trying on, before they even set foot in your dispensary. You can then have those frames ready to try-on in advance of an appointment, or get a sense of what your patients are looking for and suggest alternatives. 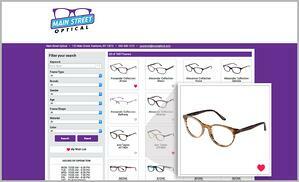 Patients add frames to their Wish List by clicking the heart icon that appears next to the frame. 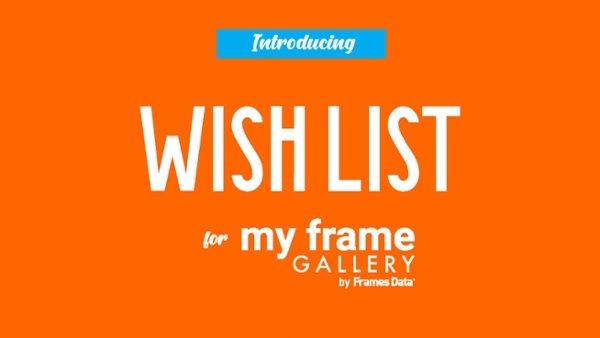 Once the patient has finished adding frames to their Wish List, My Frame Gallery will send you that list via email. The patient will get a similar email as well. Start the conversation early and learn more about your patients. 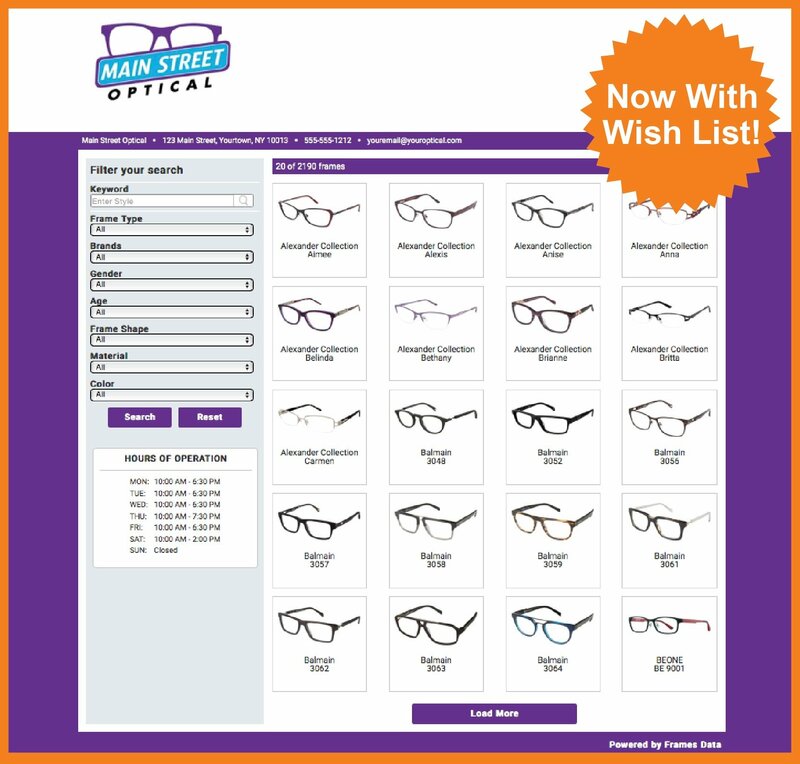 With Wish List enabled, you can gather frames for try-on before the patient’s appointment, and offer a customized suggestion based on their pre-selected frames. The Wish List feature will ensure that your practice is prepared in advance of the visit, so that you can ensure the best possible patient experience. Click on Wish List Settings and follow the instructions for downloading and returning the Business Associate Agreement, which is required to use this feature. Once you have signed and returned the Agreement, log back in and follow the instructions that will then appear on the Wish List Settings page.